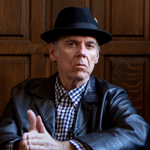 The Pullo Center at Penn State York welcomes John Hiatt Solo and Acoustic to its stage on Monday, October 20, 2014, at 7:30 p.m. Ticket prices are $55 and $35 and will go on sale August 15 at 10:00 a.m. Members can order now. Tickets can be purchased at The Pullo Center Box Office, charge by phone at 717-505-8900, or online at ThePulloCenter.com. John Hiatt’s career as a performer and songwriter has spanned more than 30 years and everyone from Bob Dylan, Eric Clapton, BB King, Bonnie Raitt and Iggy Pop has covered his work.